It seems that ever since I found jazz (or jazz found me), my life has never quite been the same. Studying and pursuing jazz has led me to move to different cities, go to particular colleges, and meet certain people. 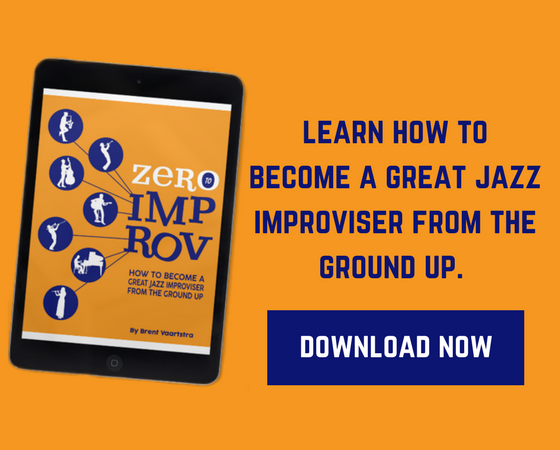 Little did I know, but the moment I met my first real jazz teacher, my life was being prepared to change course entirely. 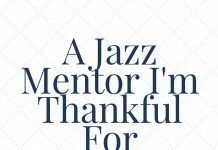 Along with my love affair with jazz music has come a lot of life lessons and growing pains. What I’ve come to realize is jazz has never been simply music to me. It’s been a pursuit. With pursuits and ambitions comes a lot of road blocks and lessons. Jazz has essentially been a lifestyle choice. I friend of mine in college once said “Music is not a job you just come home from. It just keeps going, and going, and going.” And I think, at least for me, he was right. Music, and jazz in particular, has and continues to be a lifestyle for me. 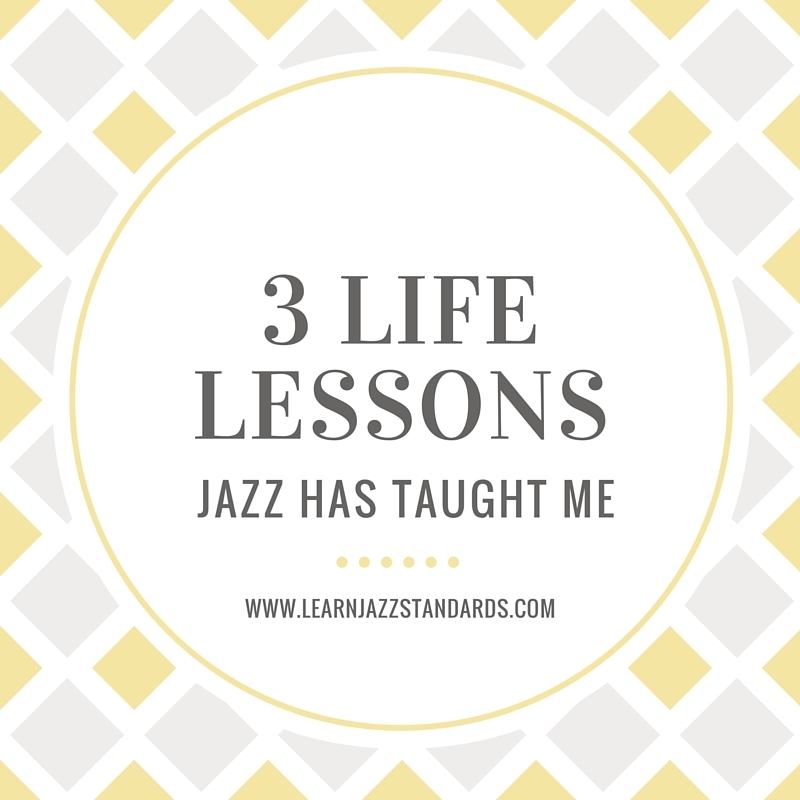 I want to share with you 3 life lessons I’ve gathered from my journey in jazz so far. 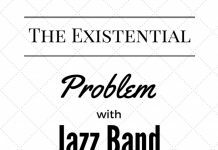 These aren’t so much practical things that the genre of jazz can teach you; I’ve gone over some of those things in another article. These are more personal, and perhaps could be applied to any genre of music, or non-musical pursuits. 1. Nothing comes fast and easy. However, I learned that despite my best efforts, progress does not work like a math equation. It takes a lot of time and effort to become great at something, the most important one of the two being time. 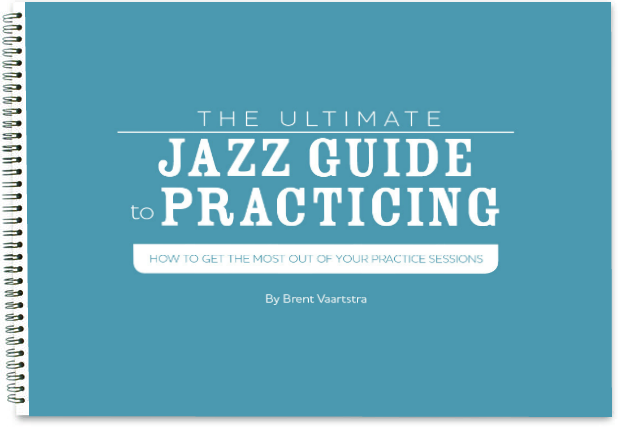 I learned that jazz is a kind of music that takes a lot of dedication to play well. Like classical music, it demands a certain level of virtuosity. It didn’t matter how hard or how long I practiced, it wasn’t going to come fast and easy. A lot of people love the idea of doing things, but when push comes to shove, the dedication it takes to achieve them is just too much. So they quit. If you truly want something, you better be in it for the long haul. I find musicians to be notorious for being incredibly critical of themselves. Even some of the best players- I have witnessed beat themselves up over how well they think they played. Particularly, when I was first starting out in jazz this manifested itself from comparing myself to others. The important thing to realize is there will always be a “better” musician than you, and you will always be a “better” musician than someone else. It took me a while (and to be honest, a lot of musical improvement) to come to a place where I just accepted myself for where I was at. In high school, my older brother was on the track team. He’s never been a very competitive person, a characteristic I haven’t always shared. I remember him sometimes telling me after track meets that he beat his PR (personal record). That memory has always stuck with me for some reason. There is little to no room for competition in jazz (or any music). So don’t treat it like a competition. Instead, always be striving to beat your PR. 3. The reward is in the work. That struck me. It was a beautiful way to put in words the feeling I have always had. You see, I didn’t pursue jazz music because I thought it was going to make me a lot of money. Let’s face it, the average musician or artist of any sort isn’t very financially wealthy. I just wanted to earn enough to make ends meet, which so far I have been fortunate to be able to do. It doesn’t matter what you do in life. You could be a banker, a farmer, a stylist, or a grocery store clerk. If the reward isn’t in the work, it’s going to be a bit of a drag. For some, there is a trade off. The financial aspect, or the living situation might over-ride the part of the job that isn’t enjoyable. I fully recognize that it is a rare privilege to get to do the work you are passionate about. Of course I’m not just talking about careers here. 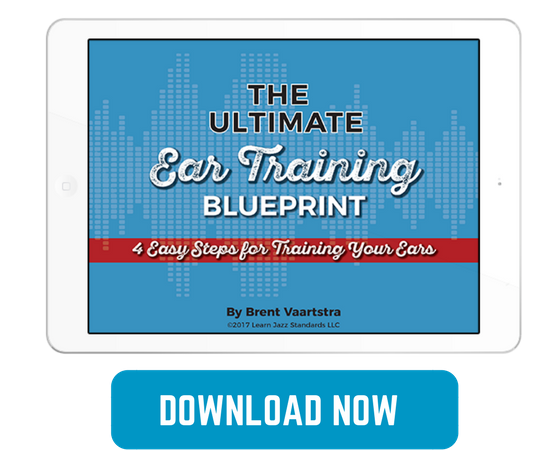 I’m talking about the work a musician must do to become exceptional. I learned that the reward isn’t out there somewhere in the distance. I’m not just putting in work now so that I can get something later. It’s here right now in the form of sweet music.